Military families testify Wednesday before Congress about their experiences. These are among the conditions described by the families of U.S. service members in a new survey released Wednesday about privatized military housing. Later that day, military families testified on Capitol Hill about their experiences, a hearing prompted in part by Reuters' investigative reporting on housing conditions on military bases. The non-profit group Military Family Advisory Network fielded an online questionnaire from Jan. 30 to Feb. 6 for individuals currently living in privatized military housing or had within the past three years. "Military families are living in dangerous situations with reports of the existence of black mold, lead paint, faulty wiring, poor water quality, pesticides, and a wide variety of vermin, insects, and other animals (e.g., bats, skunks, and squirrels) in their homes," MFAN wrote in its preliminary research report to the Senate Armed Services Joint Subcommittee on Personnel, Readiness, and Management Support. (Mike Blake/Reuters) The base-provided home of Sharon Limon, her Marine husband and two children, is shown on Wire Mountain in Camp Pendleton, Calif., Oct. 18, 2017. The report added that "families report illnesses with life-long implications caused by poor housing conditions" and requests for remediation are "often denied or ignored." Republican Chairman James Inhofe of Oklahoma opened Wednesday's hearing, saying, "Our service members and their families deserve high quality, affordable hosing. Period." His concerns were echoed by the bipartisan group of senators, including Sen. Jack Reed, D-R.I., who called the living situations endured by some military families "painfully inadequate." "We have a real problem here," Reed said. "Everyone needs to acknowledge that reality." Crystal Cornwall, a Marine Corps spouse and military housing advocate, told senators that she's seen peeling paint and a "collapsing, moldy ceiling" during her visits to bases across the country. Cornwall, who also experienced a termite issue at her own home on a Mississippi base, described housing staff as "defensive, sometimes abusive" and said there have been attempts to discredit and silence military families who report housing issues. Cornwall said that one of the biggest changes should be the 50-year leases granted to companies over two decades ago when the military privatized much of its housing. Janna Driver, another military spouse, told senators that a mold problem in her home at Tinker Air Force Base in Oklahoma left her family sick. The family experienced sore throats, brain fog and debilitating headaches, she said. Approximately 700,000 service members and their families live in homes operated by private companies on bases in partnership with the Department of Defense, according to Reuters. Pentagon spokesperson Heather Babb told ABC News that Military Housing Privatization Initiative projects are monitored by the military departments "to ensure adherence to the terms of the project ground lease and associated agreements." The companies which run the on-base housing are not Department of Defense contractors or paid by the U.S. military. But each military department has "processes in place to resolve tenant issues with privatized landlords, starting with contacting the private partner and installation housing office," Babb said. "If that does not resolve the issue, the resident can approach the installation commander and/or the local inspector general to file their complaint." The projects "strive to provide quality housing, where military families will choose to live, that provides residents a safe and enjoyable living experience, to include addressing any resident concerns in a timely manner," she said. In addition to military spouses, the presidents of five of the top private military housing companies and Department of Defense officials testified on Wednesday -- all pledging to work to remedy the deteriorating conditions of base housing. 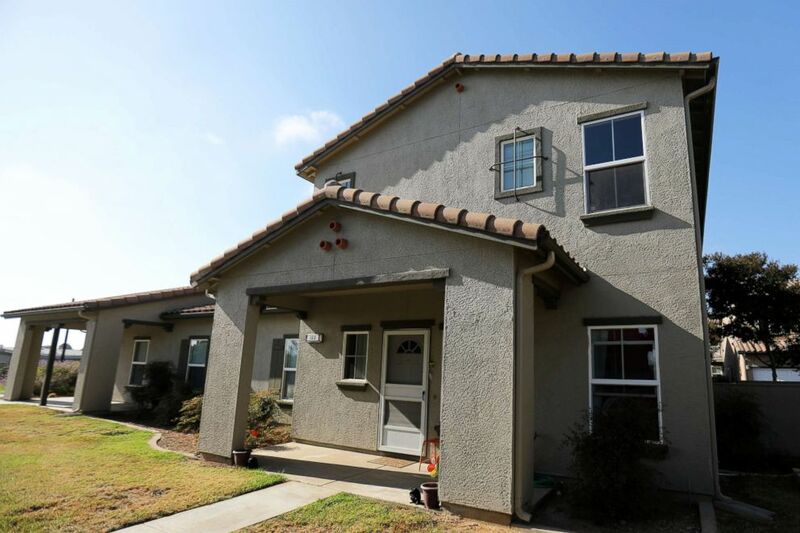 "We are deeply troubled by the recent reports highlighting the deficient conditions in some of our family housing," Army Secretary Mark Esper and Gen. Mark Milley, chief of staff of the Army, said in a joint statement. "It is unacceptable for our families, who sacrifice so much, to have to endure these hardships in their own homes. Our most sacred obligation as Army leaders is to take care of our people - our Soldiers and our family members." "We are fully committed to providing a safe and secure environment on all of our installations," the statement continued. "We have directed an Inspector General investigation and have taken other actions. We will hold our chain of command and private contractors accountable to ensure they are meeting their obligations to provide safe, high-quality family housing."